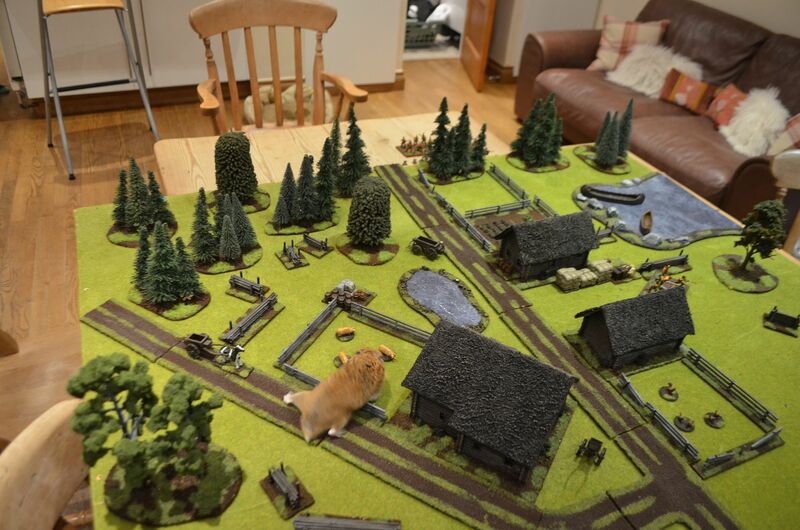 With the weather continuing to conspire against the Shed Wars gamers and having played only one game this year I decided to seize the initiative. I set up a game in the comforts of my kitchen. Fortunately I have a board 5 foot x 5 foot already flocked. Every so often I use this as an extension to my bigger table down in the shed. 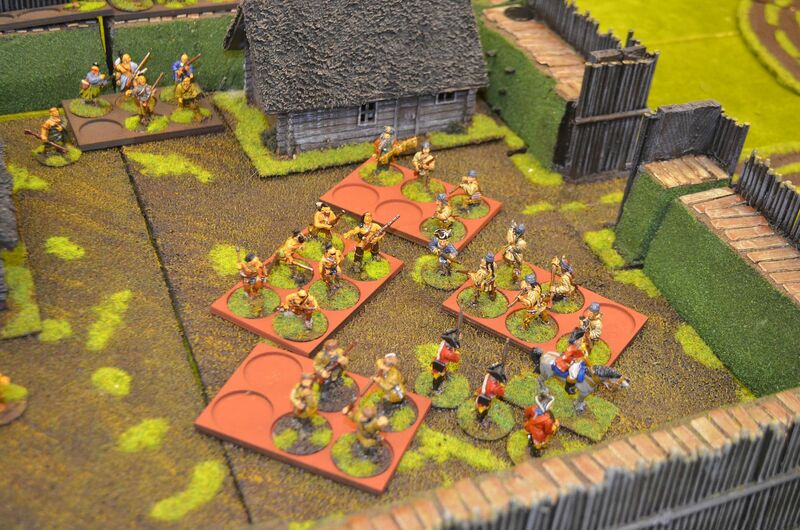 So with a smaller set up I hosted a mini game of Muskets & Tomahawks with forty figures aside. 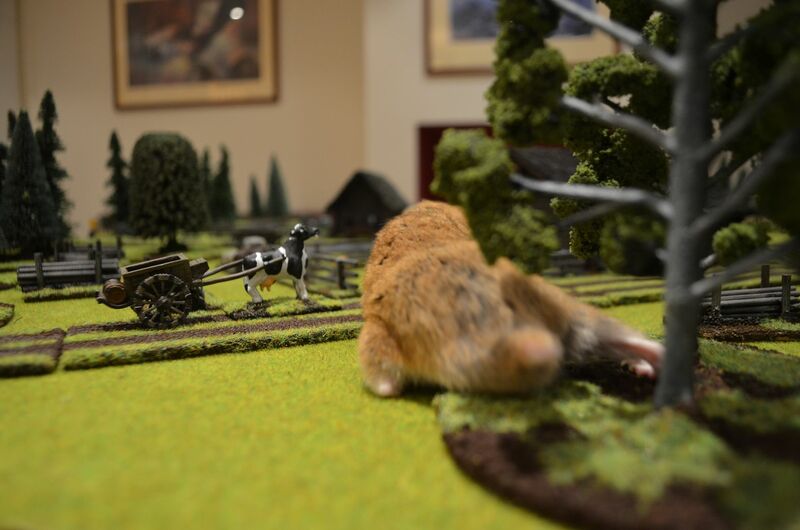 With little time for preparation we agreed that this would be a straightforward engagement battle, with one side winning when the other had suffered 2/3rds casualties. 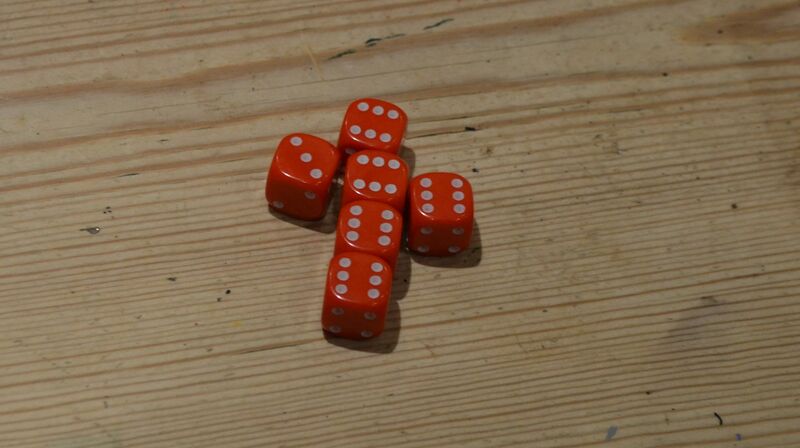 To spice things up we used the secondary objective rules – as the French I rolled the die...Prisoner. 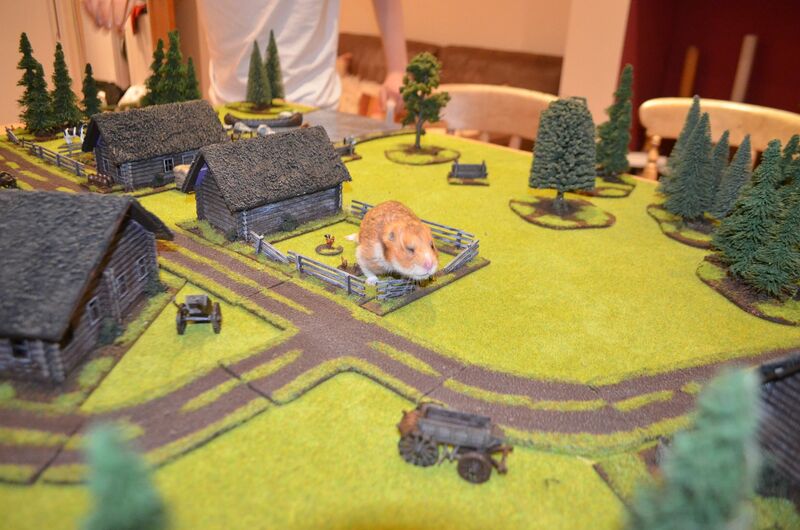 I had to rescue a comrade that could be sited anywhere on the board. Not surprisingly my opponent positioned him right on the base line. His role revealed ‘thwart the enemy plans’ in other words he merely had to stop me from achieving mine. 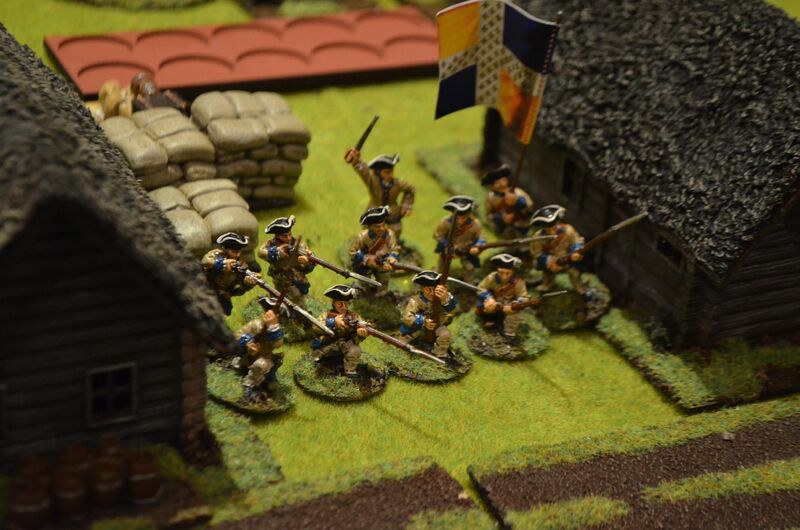 "The Skirmish at Beavers Rest"
As can be seen in the above lists the forces are of similar size BUT whereas the French have one more unit the British units are larger. 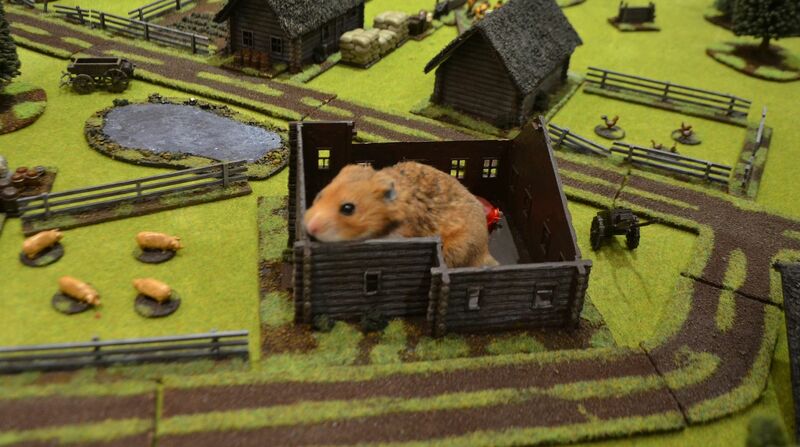 It is my considered opinion that larger units are stronger in this game as morale is significantly more robust. This means these units hang around on the field longer. 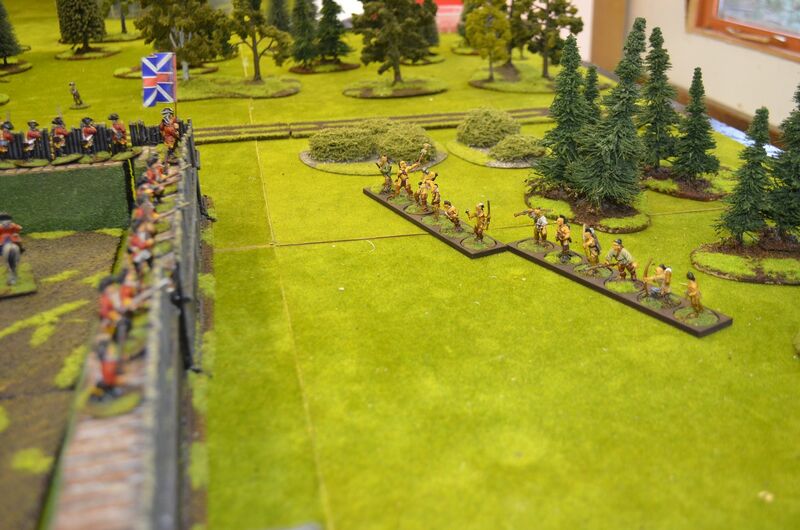 Secondly the British had two large units of Rifle armed Rangers. 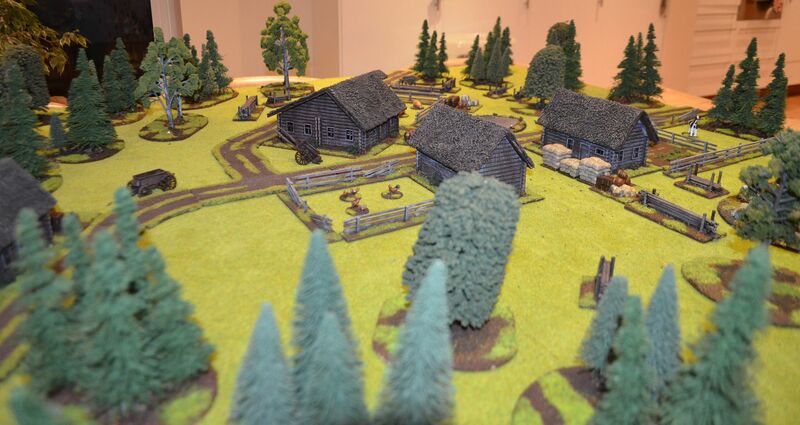 The combination of the smaller table and classifying all woodland and fences as light cover played into the Rangers hands and the rifles additional range was to prove devastating in this particular game. 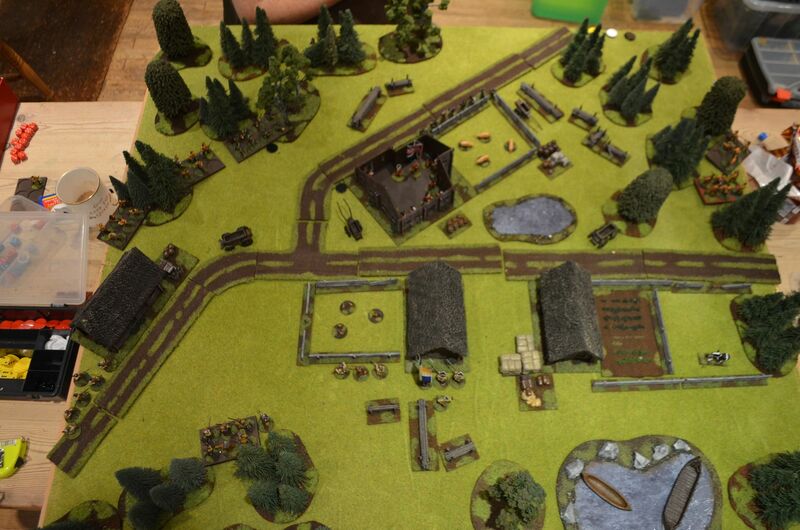 The table as seen from this birds eye view showed a small village of four cabins straddling a road and junction. Surrounding the village was light woodland. The buildings although timber were classified as hard cover. 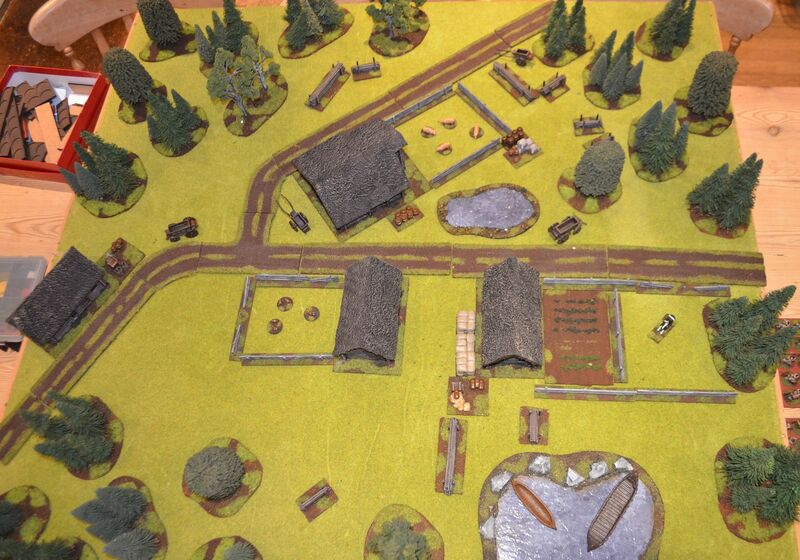 Deployment of forces was made along the base edges for both sides. 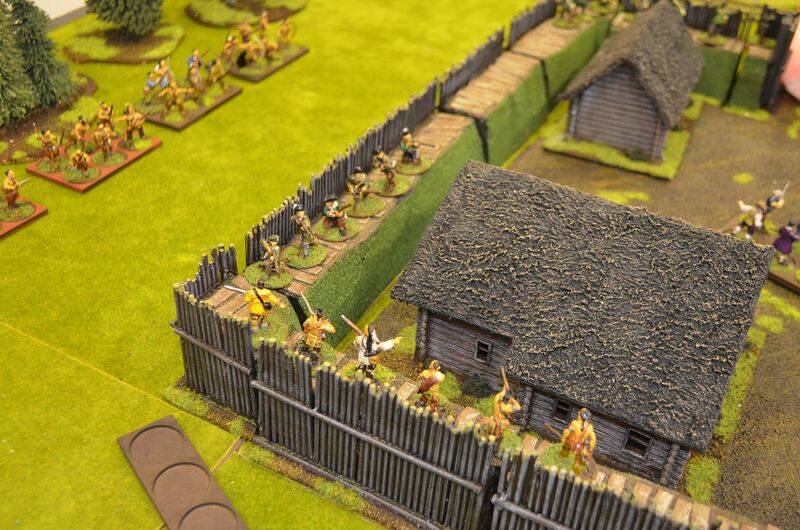 Inevitably both sides moved forward to secure defensive positions across the battlefield. 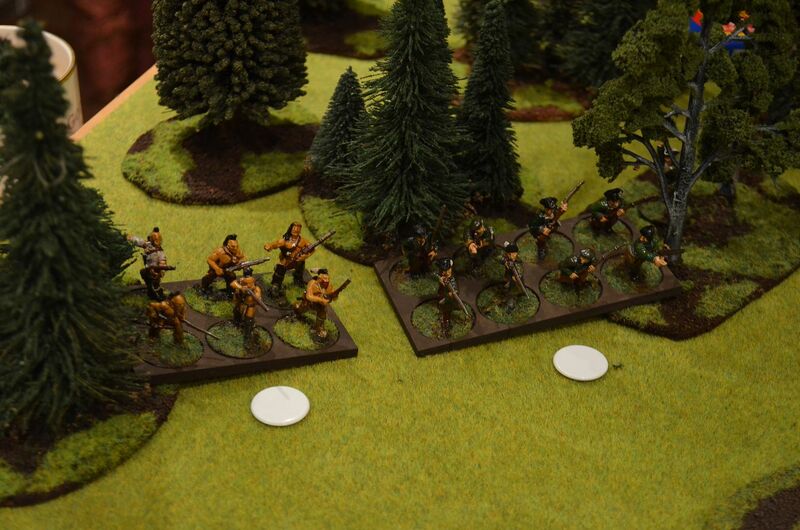 The British Forces consolidated to the North west and centre, meanwhilst my French Indians hastily moved along the Eastern edge to try and flank the advancing British. With no forces in observable range no firing took place. The British Regulars advanced into the largest of the cabins manning every window and door. This was going to be a tough nut to crack. 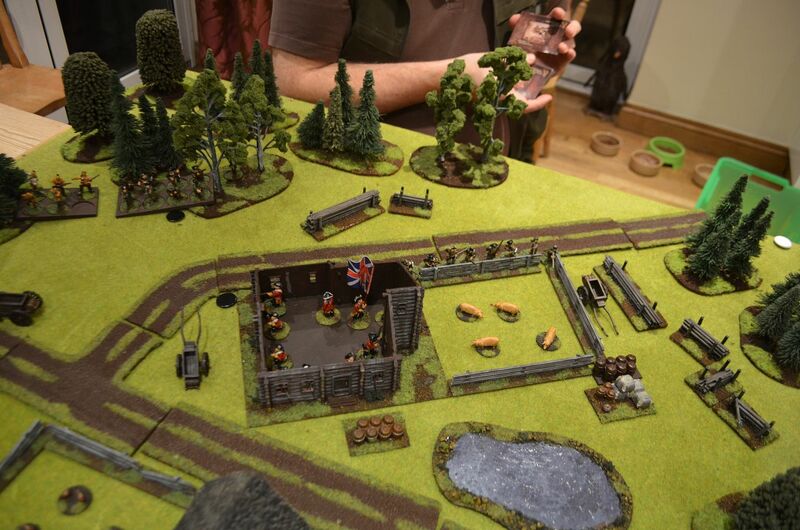 Thinking that my regular French would make minemeat of the sheltering redcoats wioth a quick volley by firing line at close effective range I let rip. Every single shot missed ! Hoping for another French Line card to be drawn my plans were thwarted when the defending redcoats sounded off a sporadic volley, 3 men in the French line dropped, this was soon followed by a further volley from the Log building – six dice rolled – 5 sixes scored – five men killed with all lethality rolls successful. 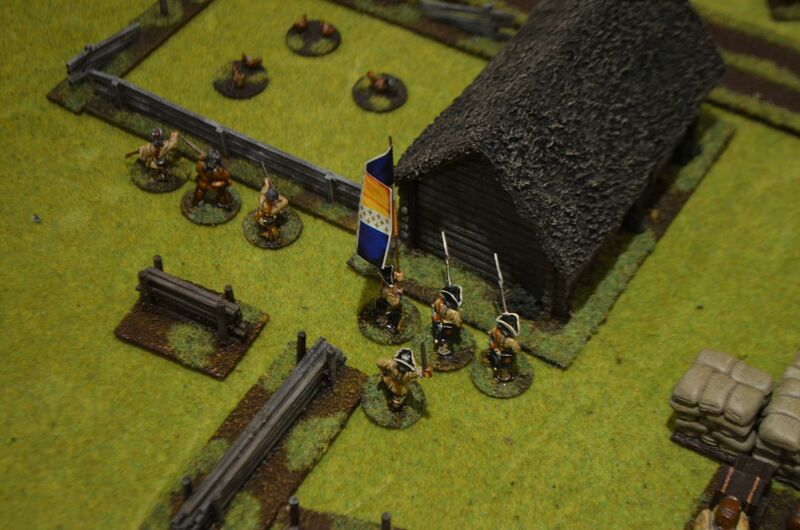 In the space of one turn my loyal French regular unit had suffered 70% casualties and were driven from the field. What are the odds on that ! 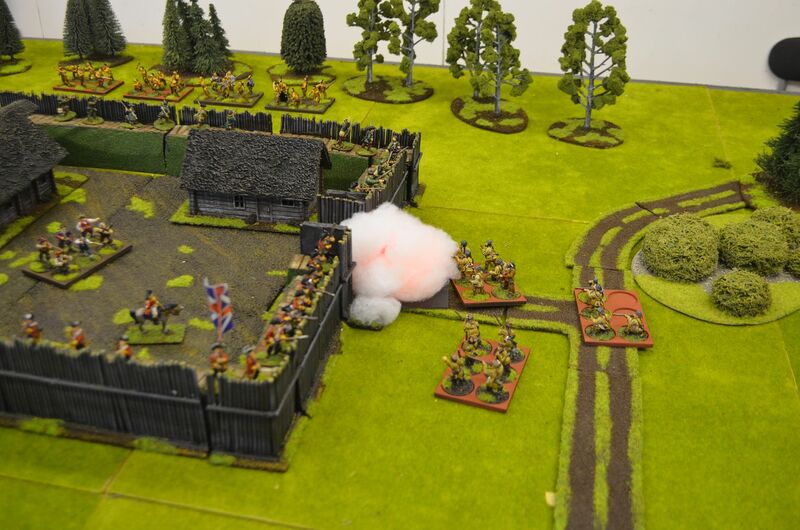 With the French regulars needing support my Coureurs opened fire at the redcoat strongpoint, again every musket shot failed to find a target. However the blacksmoke had now given their positions away and deadly musket fire from Indians and Ranger rifles began to tell. 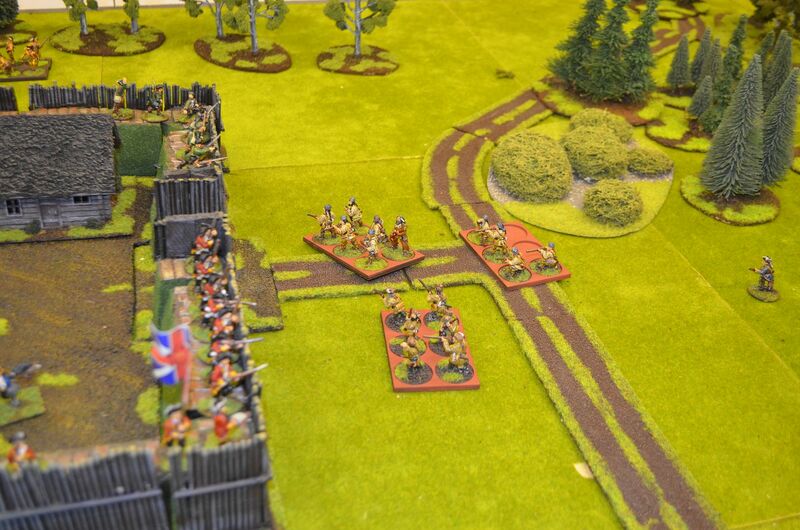 By the end of round two the French had lost close to 40% casualties with no losses on the British side. Meanwhile the British Indians had approached the cabin to the west and wanting to deny this cover to the advancing Coureurs they set fire to the building. Things were looking desparate, could the French allied Indians on the eastern flank make a difference. From the cover of the trees they opened fire in rapid succession on the Rangers in the road. 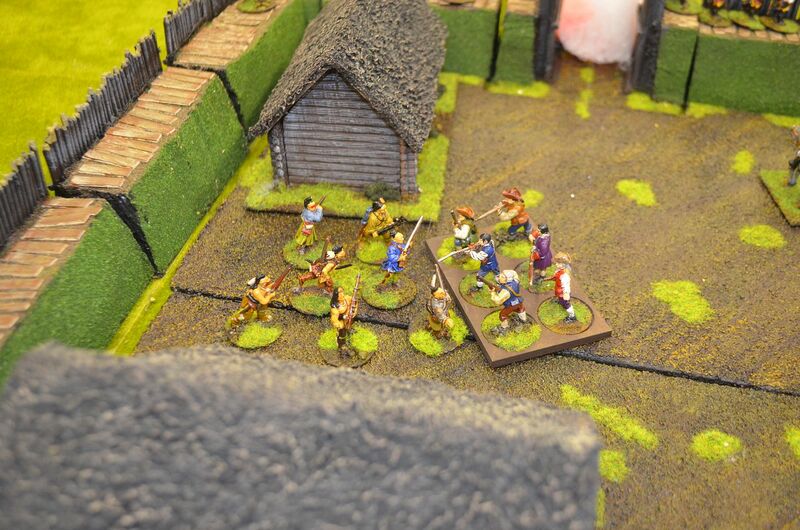 The ensuing firefight dropped four rangers with the rest taking flight, two Indians fell to the rifled weapons with again the brittle Indians recoiling in response. 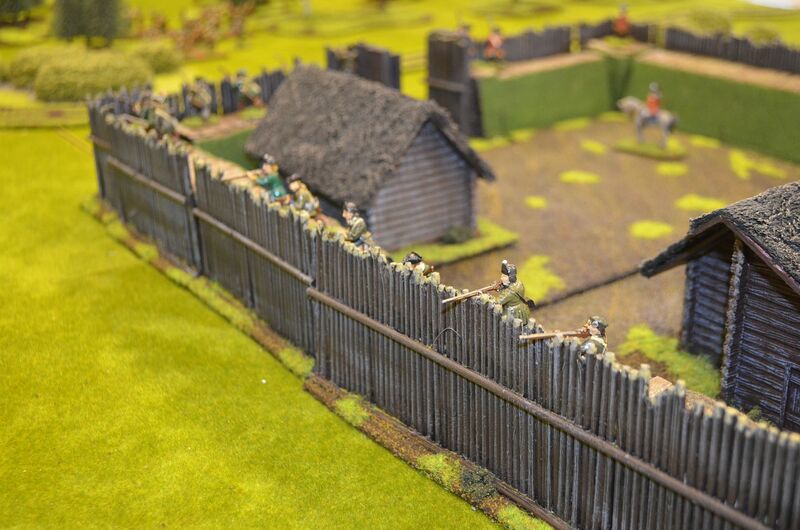 With no further danger from the centre the Redcoats reformed into line outside the farmhouse and presented arms to meet the Indian threat. A stunning, brutal massacre for the British. - The British had all the luck and the French had none. With the cold weather continuing to prevent any serious gaming action in the Shed, I decided to take matters into my own hands and move the latest game of Muskets & Tomahawks into the Kitchen. 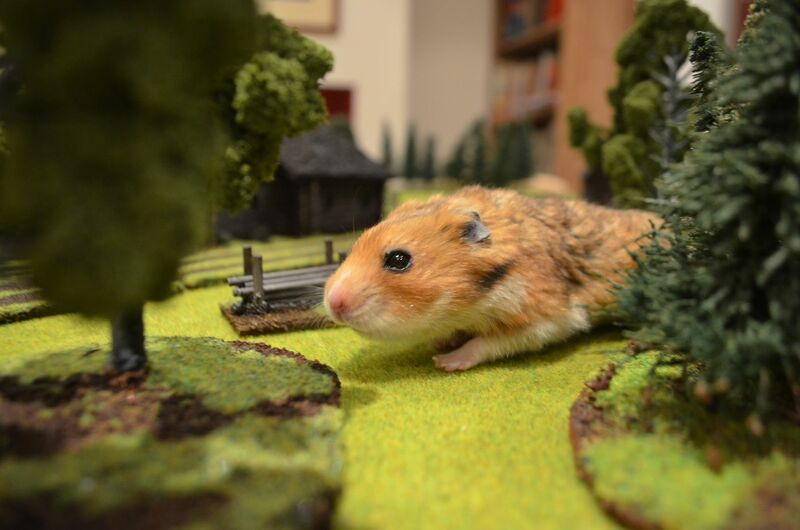 It was inevitable that Basil the Wargaming Hamster would want to come out and play ! First up apologies for the lack of posts in the last few weeks. Not only has the weather continued to conspire against me (for my international followers the UK has been in a frozen state since Christmas witjh no sign of the promised spring) but commitments on domestic and work fronts have seriously curtailed both my gaming and painting/terrain building. 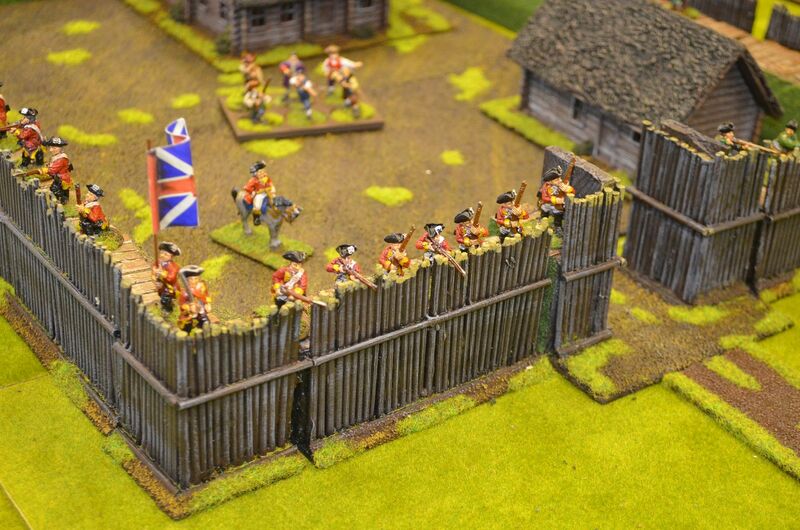 All I have to show for a fairly torrid March so far are a few Redoubt Miniatures pirates, civilians and animals. Photos of these will appear shortly. As you will be aware one of the things I tend to do in my games is to set out a story, why the combatants are present? What are their objectives? And where possible add some unforeseen events. To do this requires some preparation, some writing and a good deal of imagination. As a starting point I do build up all the orders of battle, plan out the objectives for both sides and then commit these to paper. These documents not only serve as an introduction to the game but also serve as ready reckoners during the game itself. For example I copy the crib sheets from rule books and laminate these to the descriptive text that i have written. These are all then kept in a file so the game can be replayed in the future. 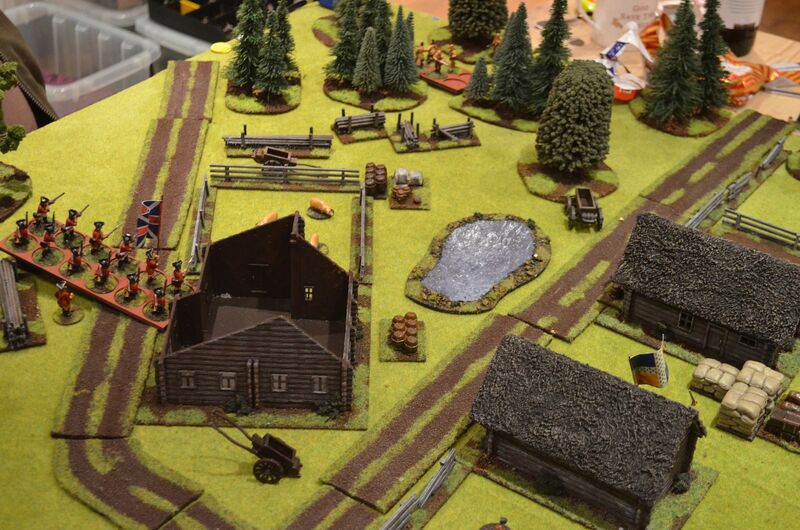 In addition I can then circulate these orders of battle to others in the wargames fraternity of interested. The mission objective is always my first step, from here I can develop the idea of which forces would be present, the nature of the terrain and any sub plots that may arise. Equally knowing how long a game is to be played, how many players involved etc always helps. To give you an example. Last month I attended Cavalier, a small show in Kent. Whilst rummaging around in one of the lead bins on a stand I came across a very large ships cannon – much bigger than the ones I had already purchased for my Pirate games. This was a beast. The idea of the scenario was born in the purchase of this gun. Thinking French Indian Wars, what if one force transported this large gun up river and positioned the piece on a bend of a strategic river. Such a cannon could have a devastating affect on local traders, supplies etc. A bit like the Guns of Navarone. Presuppose that the attacking force had to eliminate this threat because it endangered their supply lines. Then throw in a time element, if it is not destroyed in a certain time the attackers forces elsewhere would suffer. The attacking force would need to be skilled, fast and determined to meet its objectives in time, but maybe the attackers had mistaken the size of the garrison. 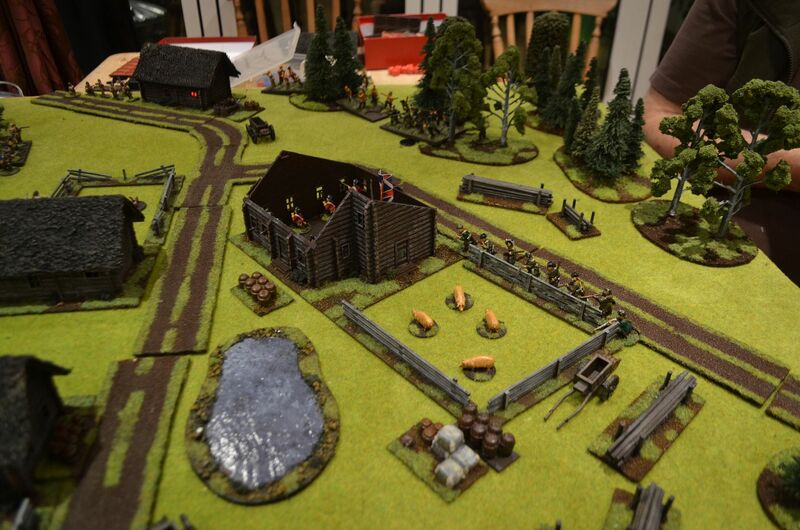 I like nothing better than setting up a game with a fog of war. Its not that I don’t like matched sides in points but lets face it life is rarely fair, so why should our games. Overcoming distractions, obstacles that hadn’t been considered in advance and the odd twist all add to a game’s enjoyability. The other thing I like to do in my games is to throw surprises into the mix, whether these be traitorous spies, shortages of ammo, dummy cannons etc. Clearly the side that manages these would be in the know but their opposition doesn’t. This does mean that that sometimes I end up umpiring a game but to watch the players faces when they have been double crossed or to discover that the loot is not where it is supposed to be always adds to the fun. 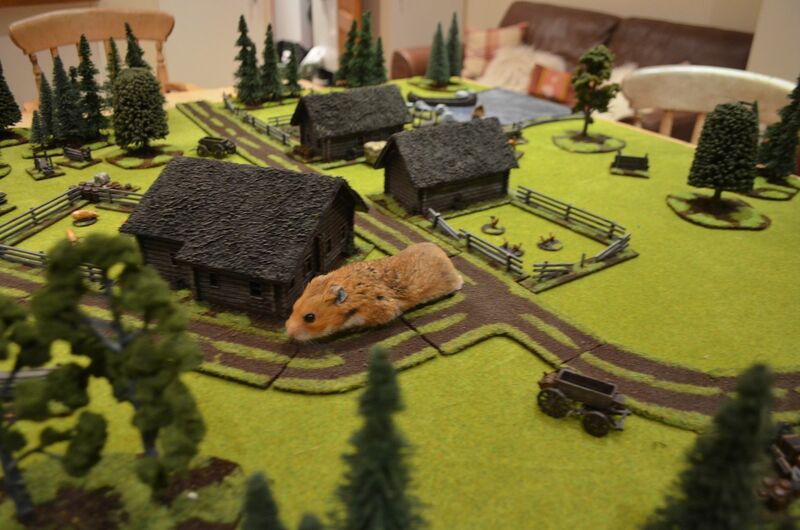 Based on some of the feedback I have received to date one of the things that appeals in my games are the ‘extras’ – civilians milling around, animals grazing and various bits and bobs scattered across the table. I think they all add to the personality of the game and can add some real flavour especially when they can be drawn into the narrative of the battle. For example scalp victims in the French Indian Wars, plunder in Pirates and raids in the Viking times. Dawn is approaching, sleep has been hard to find as you mull over of desperate position. Here you are, you and your small force of regulars, rangers and local militia defending the strategic site known as Fort McKerrow. 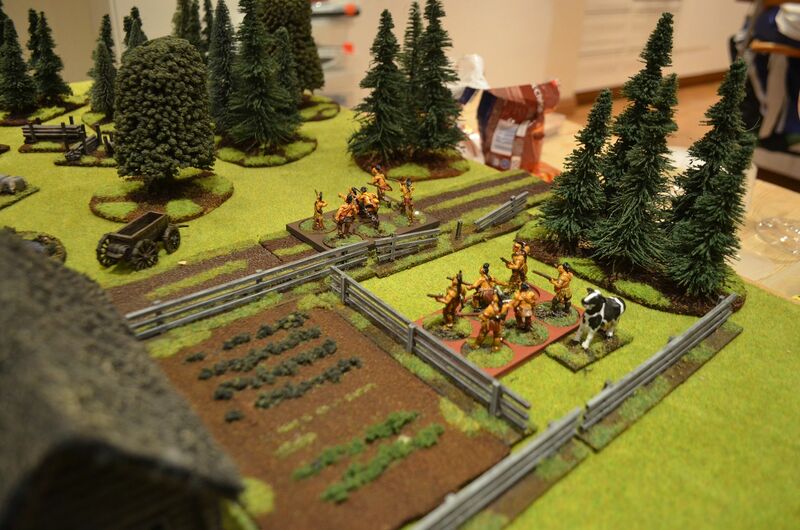 Your thoughts turn back to yesterday afternoon when your pickets alerted the garrison to the approach of the large Huron war party. As the afternoon wore on these marauders grew in number and encamped just outside the range of your best marksmen. Runners with requests for relief have been sent to General Taylor at Fort Catherine no more than 10 miles away, but still no response has been received. You are not even sure if the runners were able to slip past the native cordon. Hopefully relief will arrive before the end of the day. Fortunately the attacks from the Huron have been sporadic with little or no coordination. 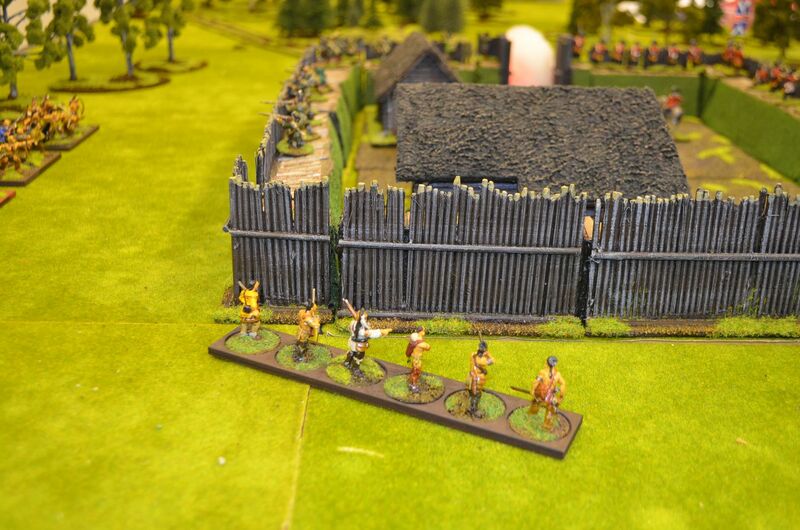 A few native braves tried to force the gate in the dark hours but were driven back by determined musketry. Maybe the attack will come soon, you are sure however that the next will have more purpose as your sentries heard French voices singing in the enemy camp as dusk fell. Please god let us hope they brought no cannon. With a stiff upper lip there is only one thing you can do, hold out, either until relief arrives or make your King, Country and Family proud. If things could get no worse, earlier this morning your quartermaster brought you some dire news, the powder stored in the armoury is damp and your men are down to their last few horns of powder. Whether there is sufficient to hold out against the next attack you don’t know, you must trust in god for your salvation. 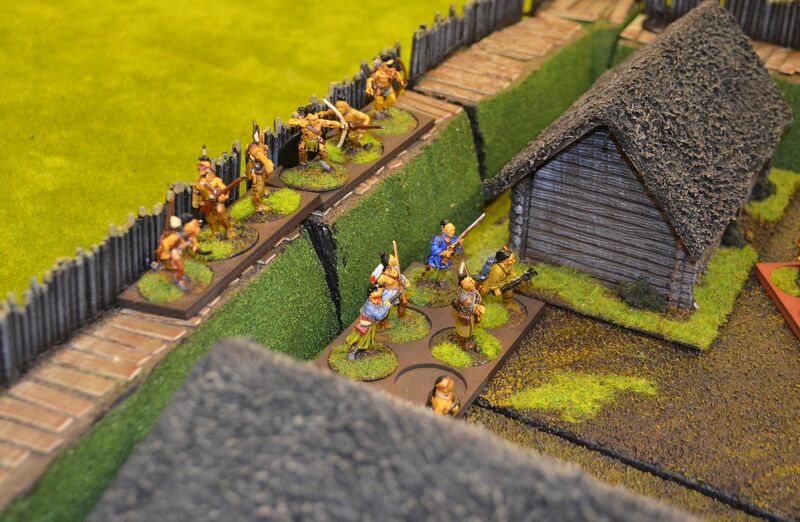 Units inside the fort have realised the desperate position they are in, they recognise that there is no- where to retreat and as such rolls will have to be managed accordingly. All units will get +2 to their die rolls whilst they have powder, they lose this benefit when they can no longer shoot. 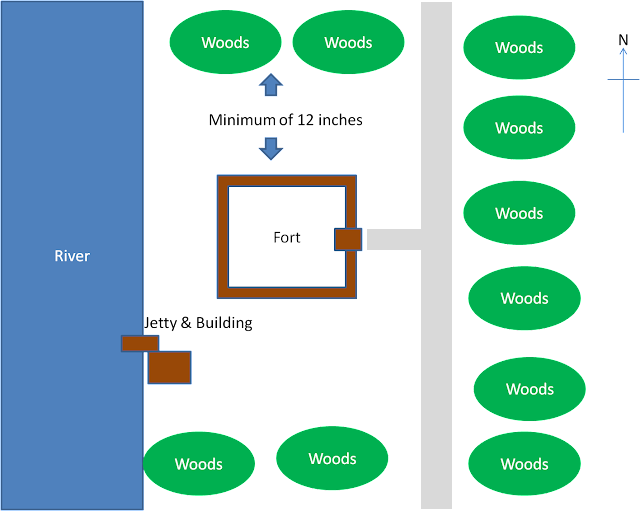 Units in recoil/flight will move towards the centre of the fort. Units routed are assumed to have either faced the music, died or hidden . They will no longer fight in the battle. The British Morale card will still be acted on if forces suffer 50% casualties. 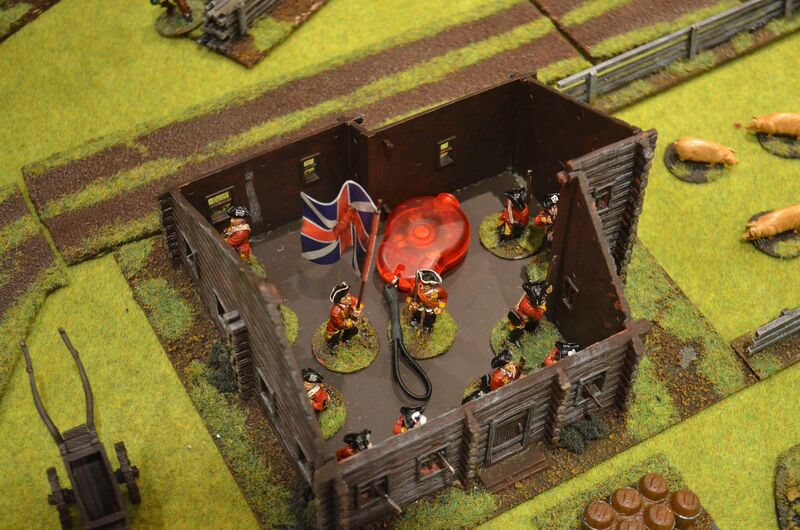 For the first three card decks every British unit has sufficient ammunition so blaze away. From the fourth card deck each time you fire if the number of ones rolled exceeds the number of sixes rolled then that unit is out of ammunition. 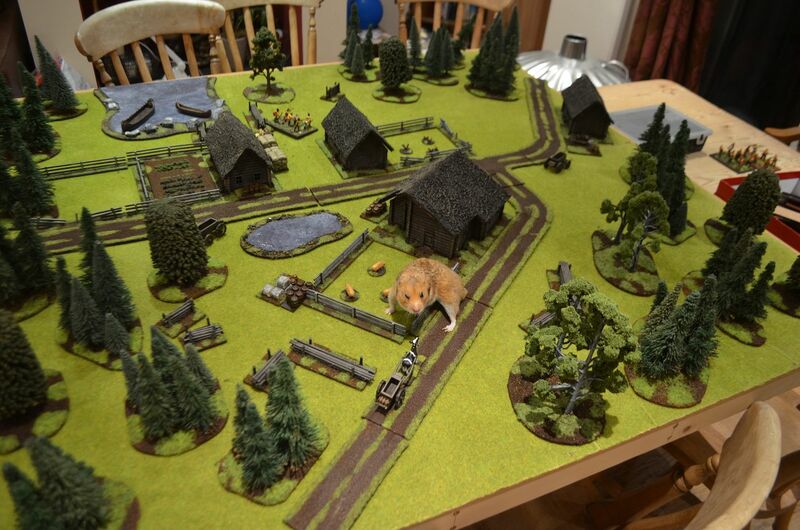 Units may not forage from the enemy/friendly casualties. 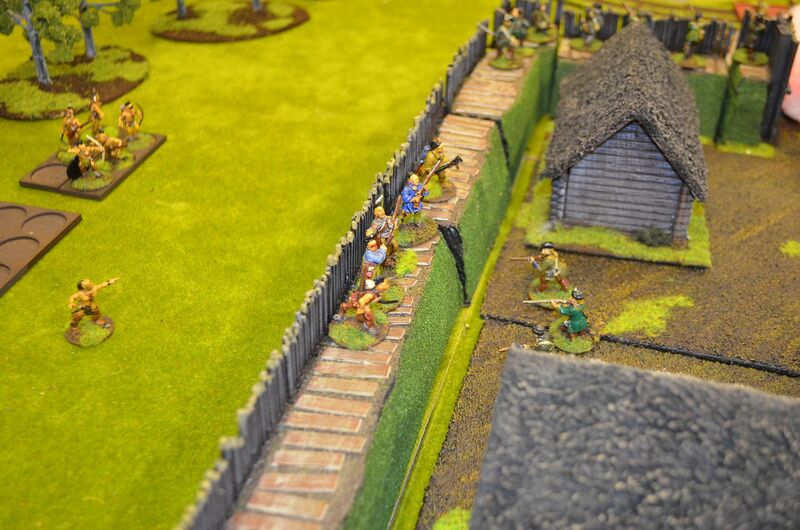 The Fort walls afford hard cover, units scaling the walls take two actions to get over the top. The second action would be counted as the assault. Tomahawks may be used in this assault. Defending the walls will give the defenders +1 on their defence roll, attackers will be at -1. You are not aware of any relief force approaching the fort. You must keep your fingers crossed that a runner reached General Taylor. If the runners reached Fort Catherine late last night then a force must surely arrive this morning, any reinforcements would come from the south either by river or road. Last night you and your Canadian Coureurs arrived at the encampment of chief Broken Wolf. 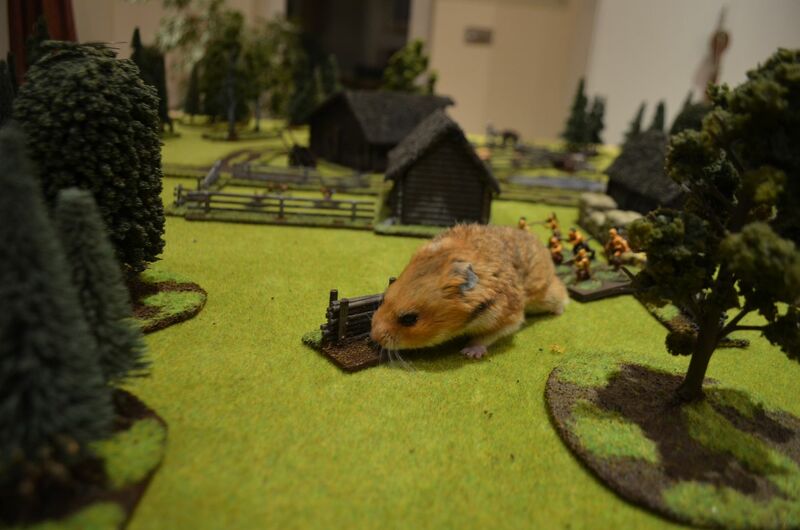 Following a heated exchange in which you demanded to understand why Fort McKerrow was not in their hands you have now taken overall command of the siege. Your superiors saw fit not to send any ordnance to destroy the fort however you are in the possession of sufficient powder that your Coureurs have now used to create two mines. These will in your humble opinion be more than sufficient to force the gates open or to create a breach in the walls. Getting mines to the gate, under fire will be fraught with danger. This is not a job you can trust to your native allies. You have learned from Broken Wolf that he has captured several runners trying to escape from the fort. 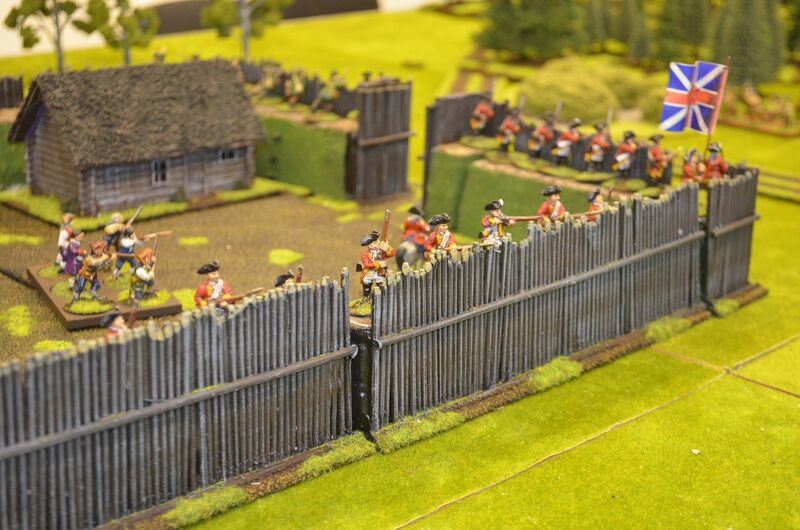 These men were obviously trying to reach the British garrison at Fort Catherine. It is your belief that no relief is on its way but to be sure you have placed some of Broken Wolfs men along the road south. Despite this positive news Broken Wolf appears to have little control over his renegade band. When you joined his encampment last night there was a sizeable presence, this morning this appears to have shrunk. Your ally assures you that his braves will return once battle is joined. The Coureurs Units start 18 inches away from the Main gates of the fort. 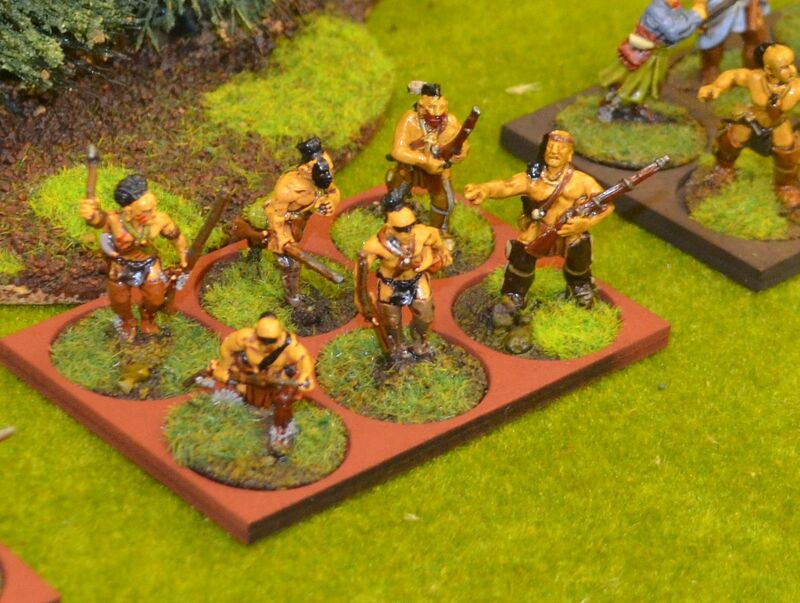 Two units of Indians lie waiting on the southern road ready to ambush any relief column. These units are placed out of site one either side of the road. They may join the assault on the fort. The remaining six on table warbands will start 18 inches away from the walls. Each unit is rolled randomly to see which wall he is facing. No Indians may face the wall next to the river. Reinforcement Indians arrive from the North/East. – Random spawn point 24inches from fort walls. Well it was a bloody slaughter. The game started under the cover of darkness, with dawn about to break. Under the M&T rules darkness creates a -3 to hit, this certainly worked in the Indians favour. 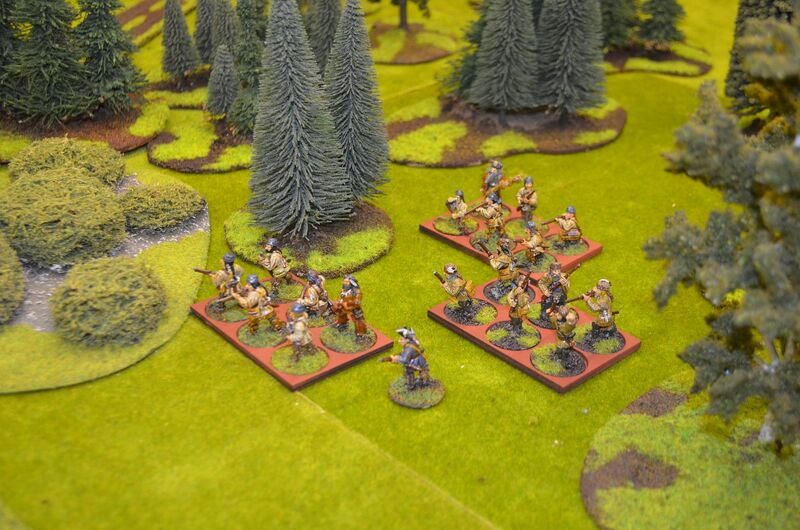 breaking cover from the woods advance several Indian Warbands...whooping and hollering. 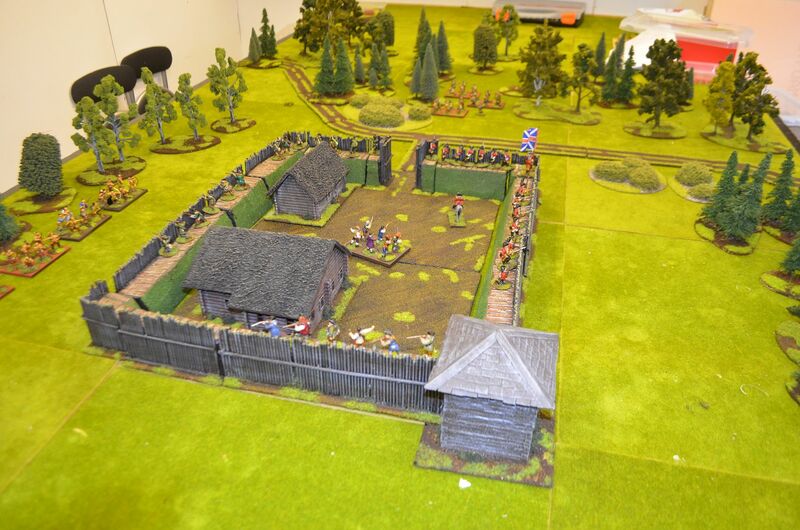 Meanwhile The Gate house styrongly fortified with Rangers and Redcoats watched the Canadians advance carrying large barrels. A desultory volley inflicted one casualty. This was not good !Sir Alans drilled men were missing every shot ! 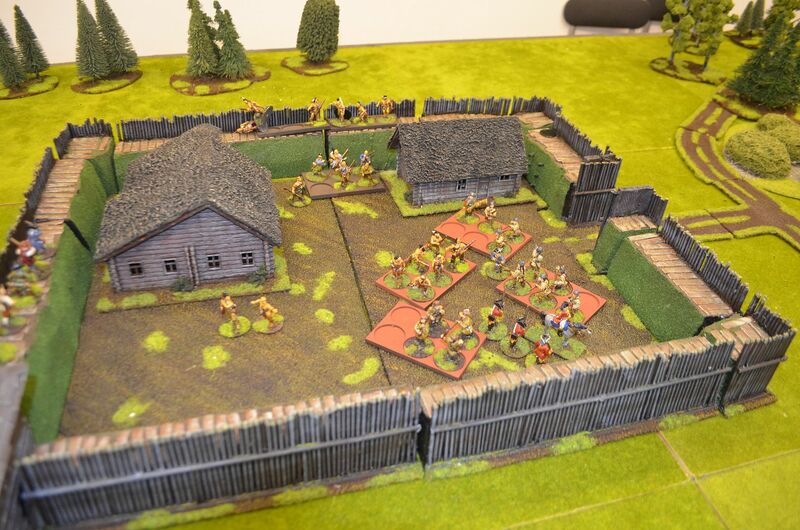 Colonel Didiers men advanced a nd placed their barrels of powder, the charges were set and they reterearted a safe distance. Only then did they iopen fire dropping three redvoats behind the stockade wall. Boom - the mine exploded sending shattering splinters across the defenders ranks. More red and green jackets hit the dirt. 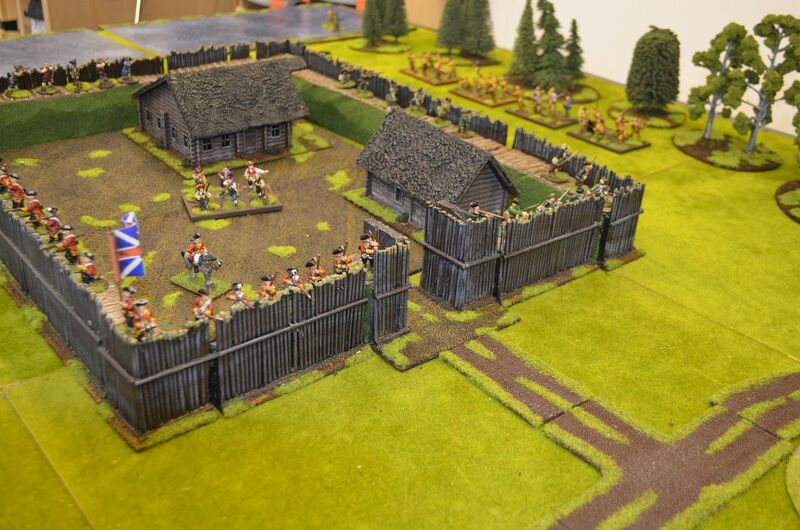 With the gate now open the Canadians let rip and charged the breach. So in two card decks the Indians and Coureurs wiped out the defenders. The Indian luck held, so few of the British muskets found their mark in the early morning darkness.